We are leading in manufacturer and supplier of the material trolley in India. Material trolleys are also named as Platform trolley, service trolley, wire mesh trolley, and industrial material trolley. The material trolley manufacturer is apt for comprehensive applications and is extensively utilized in industries like automobile, electrical, mechanical, food stores etc. All of our clients appreciate our products owing to their significant features such as strongly constructed, durable in condition, longer working life, available in attractive designs, sizes & colors and resistance to harsh weather. 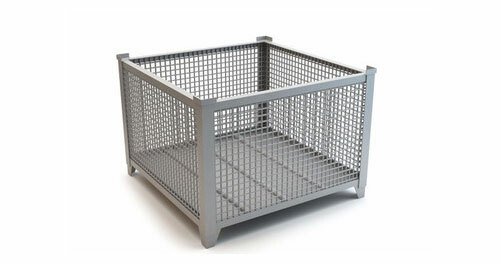 Wire mesh trolley has 2 to 3 adjustable shelf which has benefits to place more items. Most used items can be kept on the top shelf during working at standing height. We provide a great range of material trolleys, service trolleys, platform trolleys, wire mesh trolleys to cater various industries like automobile, food stores, electrical, mechanical and many more industries.